As a small or midsize business manager, you should be looking to make smart investments that allow you to make your business as productive as possible and enabling growth and profitability. It's very easy to underestimate the business impact of newer technologies and you can find yourself stuck with outdated technology that inhibits your ability to conduct business. 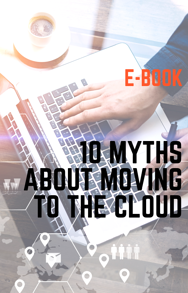 Migrating to the cloud can reduce the overall cost of storing your data, while providing you access to the latest productivity tools. To remain competitive in today's business environment, it is critical that you utilize cloud computing to streamline your business processes. Your data is very important, so keep these 7 tips in mind for a successful migration. Just as you wouldn’t skydive without checking the parachute, you don’t want to start migrating your data without having a solid plan. There are two parts to consider when building a migration plan: the structure of the project and the technical approach. In the project structure, you should include everything you’ll need from a business perspective to execute the migration: objectives, milestones, deadlines, budget, etc. The technical approach should contain all the technology specifics like migration method, timeline, and necessary tools; an IT expert should develop the last one. When we mean "Data Checkup," we are referring to a business’s procedures in data "Quality Control" that ensure migration to the cloud is both efficient and effective. Some symptoms to watch when performing a checkup includes inconsistencies, inaccuracies, or outdated data. These can potentially delay the migration process. Also consider ranking your data in order of importance so that the highest priority information is stored first. For any cloud migration, communication is key. The IT department will be the one overseeing the project, but all your other departments will be generating and consuming data every day. Make sure all departments know if and when the server will go down for maintenance while migrating. In addition, involving your teams in the process will provide you with valuable insight into how data should be used and shared. Is very important that you don’t let the project go too far without testing it. Constantly testing allows you to adjust the plan as you go and make the proper changes as needed. You don’t want to spend money and resources on a project only to realize you missed something and have to go back to the beginning. Also, validate that your data is correct by checking it against the data you had stored on your local server. It's best to start the migration with a few baby steps, rather than begin at a full sprint. You need to anticipate for every single thing that could go wrong. Testing allows you to make adjustments on-time, but without a contingency plan, a few minutes of downtime can have a real cost for your company. It’s always tricky to migrate data and ensure continuity during regular business hours, so prepare for possible downtime. Ideally, you should schedule a migration during non-business hours, so no one is using the server when it goes down. Also consider that migrating to the cloud might cause unforeseen disruptions in other systems. Therefore, it is imperative to create a rollback plan to restore your servers, if need be. Hopefully your cloud migration will go smoothly, but it never hurts to have the option of reverting to a previous setup in the event that something breaks. A cloud migration involves moving a large amount of data in a small period of time all to the same cloud-based server. This can be really appealing for cybercriminals looking to skim some data to target your company for malware in the future. How can you prevent this? The smartest way of migrating is to carry your data in blocks of files, instead of all at once. Moving your data in specific chunks makes it easier to control data permissions and security settings, ensuring that everyone who reads your files is permitted to. Migrating your data to an environment you don’t know will create downtime and security risks. If you are migrating without any IT partner, plan enough time for your team to “play” with the new environment and get to know it before you start migrating information. Migrating to the cloud can be a stressful process, so it's important to have an action plan and build a strategy that's comprehensive for your specific business needs and expected outcomes. Visit our Resources page for more information on business technology and let us know if you have any questions.